Concept Plan Courtesy of Farmer & Morgan, LLC. The mission of The Village at Glencliff is to provide a dignified, loving, and hospitable bridge housing community for our most vulnerable friends experiencing homelessness in Nashville in an effort to meet each individual’s most basic needs so that residents are empowered to focus on healing and permanent supportive housing. 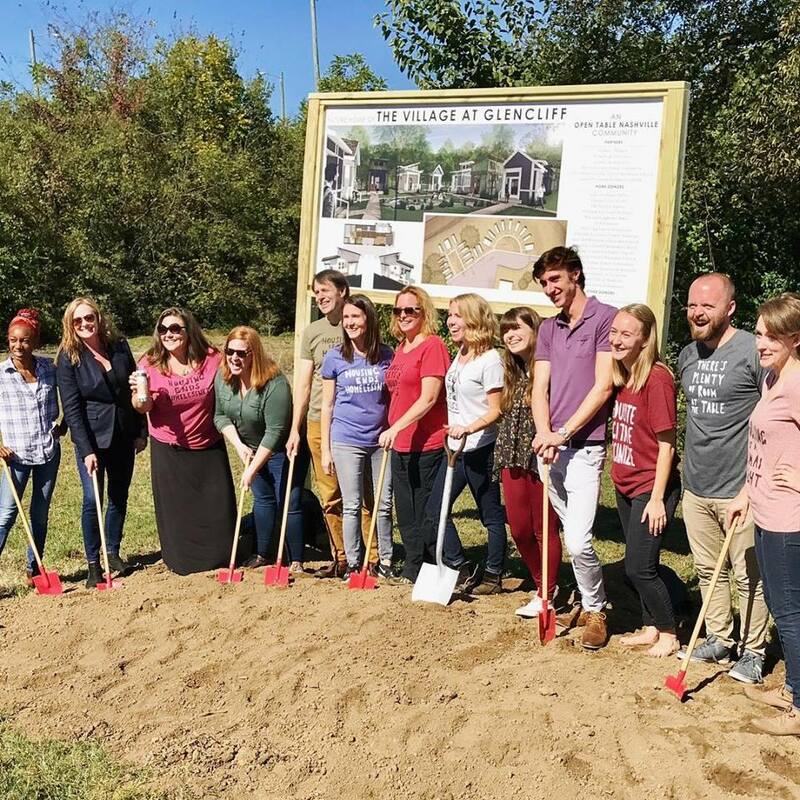 The Village at Glencliff is intended to support people experiencing homelessness who have medical vulnerabilities and are not able to immediately access permanent housing. 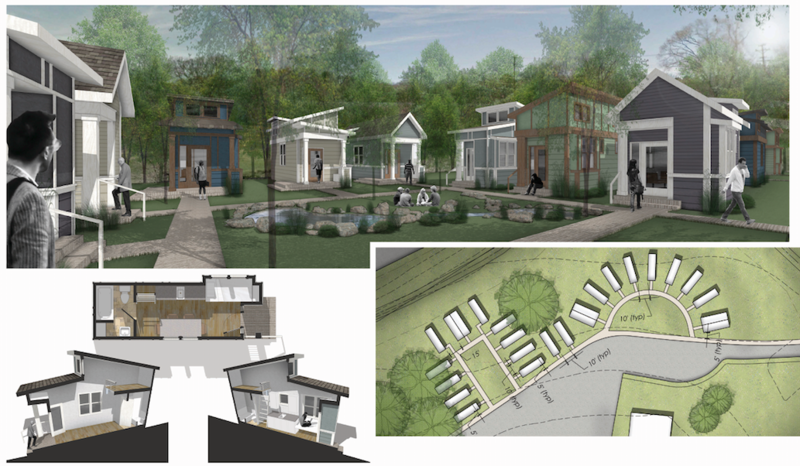 The program blends two residential models—bridge housing and medical respite. Bridge housing is a model of transitional housing that emphasizes short lengths of stay and rapid connections to permanent housing. * One element that distinguishes bridge housing from conventional transitional housing is the shift in emphasis from housing readiness to housing access. While many individuals will benefit from treatment, education, and training, these services could also be provided in a permanent housing environment, if an opportunity was available. Bridge housing is typically used as an interim solution when a person has been offered and accepted a permanent housing option but is not immediately able to move into the unit. Goals are usually short-term and focus on fostering community and preparing for the move into permanent housing. While the ideal length of stay is 90 days or less, due to the severe lack of affordable housing options in our community, we anticipate residents will stay longer while awaiting their move-in date. Medical respite programs provide short-term residential care for people who are too ill or frail to recover from an illness or injury on the streets but are not ill enough to be in a hospital. ** Due to our community’s limited affordable housing options, people experiencing homelessness with severe, chronic illness are also expected to utilize this resource. Residents have the opportunity to rest in a safe environment while accessing medical care and other supportive services, often preventing further complications or death. 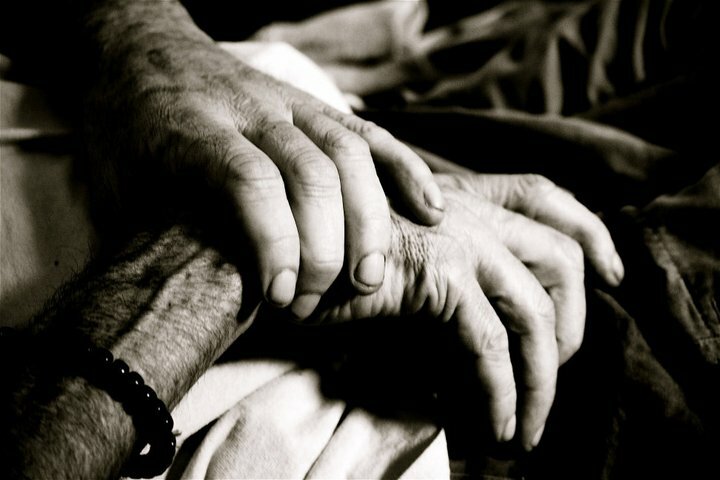 Medical respite care can be offered in a variety of settings including freestanding facilities, emergency shelters, nursing homes, and transitional housing. For some, The Village at Glencliff will serve as hospice space for people needing end-of-life care rather than permanent housing. The Village at Glencliff blends together the bridge housing and medical respite models to create a community of healing and support for people who are medically vulnerable and waiting for affordable, permanent housing. The Village at Glencliff will be staffed by a Care Coordinator on weekdays during regular business hours and provide on-site nursing care as needed. The Open Table Nashville offices are also located on-site, so other staff will often be available to provide additional support. Finally, the community will be notably strengthened by the generous support of volunteers and partner agencies. The Care Coordinator will be highly-trained to provide residents with strength-based, trauma-informed support to address their complex needs throughout their stay at The Village at Glencliff. In addition to facilitating rest and recovery, the primary goal will be to assist individuals with accessing permanent supportive housing. The Care Coordinator will also connect residents with services and resources for issues such as trauma, mental health, substance use, stable income, nutrition, and emotional/spiritual wellness. Treatment, education, and skills training will be made available in response to individual needs according to each resident’s stated goals and current stage in the change process. Residents will be expected to work cooperatively with the Care Coordinator to take steps toward housing and healing. The Care Coordinator will assist residents with arranging transportation to appointments, utilizing a combination of MTA bus services, MTA AccessRide, TennCare transportation, and community support providers. Drugs and alcohol will not be allowed at The Village at Glencliff. Nevertheless, some residents will have a history of drinking and consuming other substances. With this is mind, the Care Coordinator will screen residents for addictions and assess their readiness to change in each area. Support will be tailored to each individual utilizing evidence-based practices and recovery principles. In some cases, individuals will be referred to a higher level of treatment. The Village at Glencliff will safeguard resident confidentiality, just as in any human services setting, by following federal and state guidelines for privacy practices. 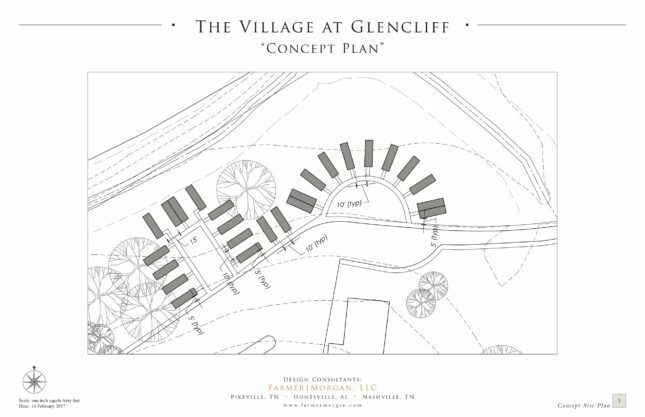 The Village at Glencliff will consist of 22 micro homes. The homes will each be built on a foundation and include a kitchen and bathroom. One of the units will be utilized as an office and clinic, while another will provide laundry facilities. 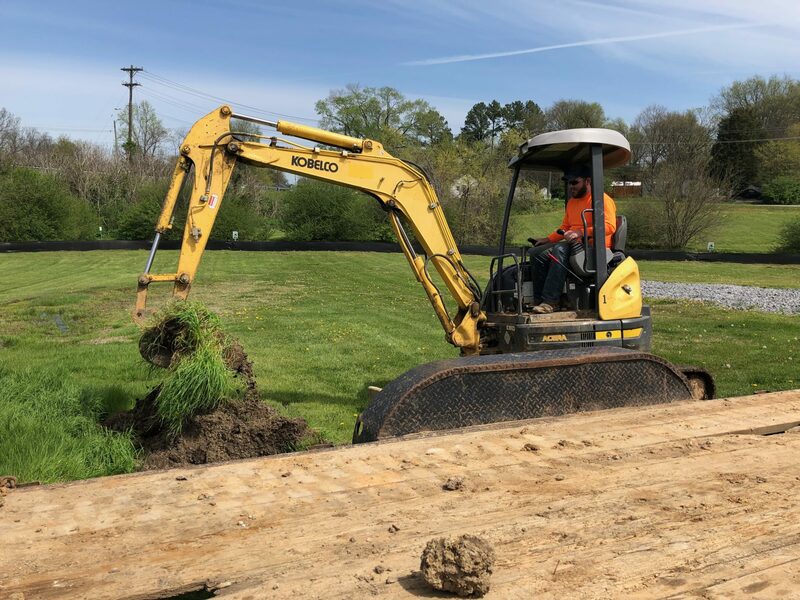 The remaining 20 homes will be comprised of 16 single-occupancy (200 square feet) and 4 double-occupancy (400 square feet) units, for a total capacity to serve 24 individuals.